Remote codes for Polaroid TVs. 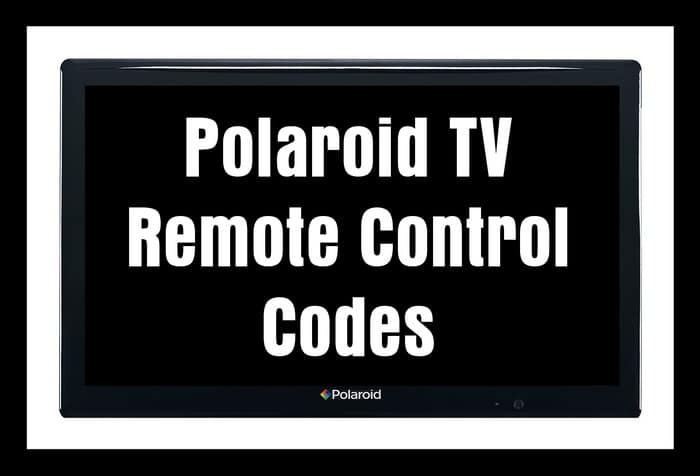 Below is a list of Polaroid universal remote control codes to be used with all Polaroid televisions. These codes can be used with a universal remote control that can program a 3, 4, or 5 digit code. The Polaroid TV codes can be used with any universal remote or with your existing CABLE or SAT remote when programmed correctly. Note: If these remote codes for Polaroid TVs do not work, try using Mitsubishi TV Remote Codes as they are reported to work with Polaroid TVs. 3 – Enter one of the TV remote codes provided above. Need your Polaroid TV User Manual and Connection Guide? Find all available Polaroid TV Service and Owners manuals here. If you have tried all the codes and they do not work for your Polaroid TV, please let us know which remote control model number you are using and tell us your issue below. We will get back to you with an answer. I have a Polaroid model 55GSR4100KM LED television. I have been trying to link my Dishnet Hopper 3 new universal remote to it and cannot get it to link, even after going through all 91 possible codes. Do you have the code for this model for the Dishnet control? Can you find the code for Ace 32” TV LED-DN4 808? I have tried different ChungHop universal remotes, but none work. Please help me. Thank you very much!